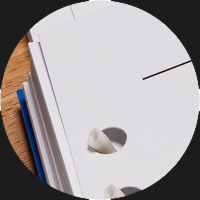 You might already know about our checklist printing and divider tab printing, but did you know we can print custom divider tabs and manuals on tear-resistant synthetic paper? Synthetic paper stock is incredibly resilient and keeps your QRH from ripping even in a heavy use environment. 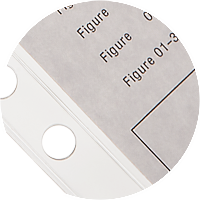 This stock is available in our Airbus compatible QRH divider tabs and for any custom printing projects. A tab set with 5 general use tabs in a 7-hole pattern for your Boeing QRH or custom checklists. This 36 tab set was developed for Boeing cargo plane checklists. This 17 tab set is designed to replace tabs in a Boeing FCOM. Aerobind can print any custom set of tabs on tear-resistant synthetic paper. If you need a checklist or tab set for a simulator or other high-use environment, synthetic paper is a great alternative to less durable card stock. Custom tab quotes are FREE! Just contact info@aerobind.com and we’ll get started! Follow Aerobind on Social Media for Updates, Product News, and More! This month, we wanted to highlight our custom printing services, and how we used our printing and product expertise to solve a QRH issue for one of our Embraer customers. 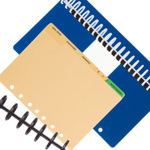 Aerobind has provided binders and other QRH supplies for years. But we’ve never released a binding system in a single-ring configuration. Until now. When we first started carrying paper punches a few years ago, we wanted to allow companies and individuals to print and bind their own checklists with parts that were compatible with Aerobind products. We discovered quickly that the punch we carried worked fine for minor revisions and small print runs, but many of you needed something that could handle more cycles. Aerobind is now your provider for the 11 and 22-hole Airbus compatible checklist products you need. 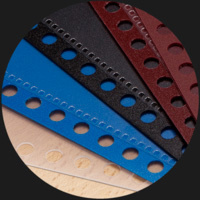 Not only do we offer the products you already purchase, we have developed our own alternative products like hole punches and divider tabs to meet any need or usage volume. As with all Aerobind products, there is no minimum order quantity, and all products ship anywhere in the world at low prices. Read on and find out which new products are best for your application. 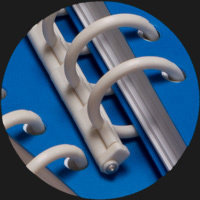 Thank you for your interest in Aerobind products; we hope that these semi-regular email newsletters will help you choose the right ring binder for your QRH, or select the right paper punch to print your own custom checklist. In the coming issues, we will explore how to build your own checklist from the ground up using Aerobind products.